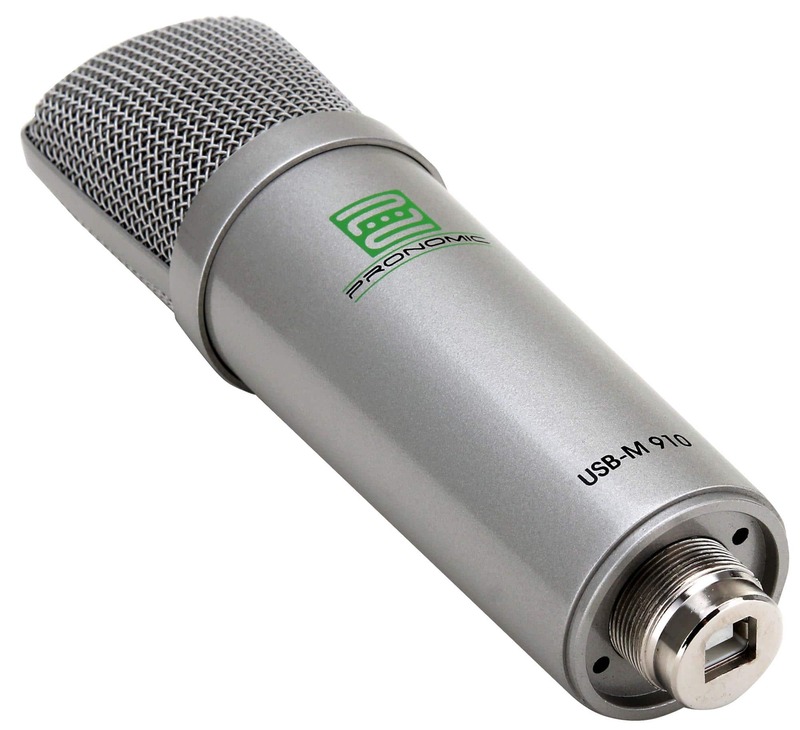 Pronomic USB-M 910 is the ideal solution for all musicians, journalists, engineers who want to createhigh quality recordingson the go with a laptop while keeping the equipment as small and inexpensive as possible. 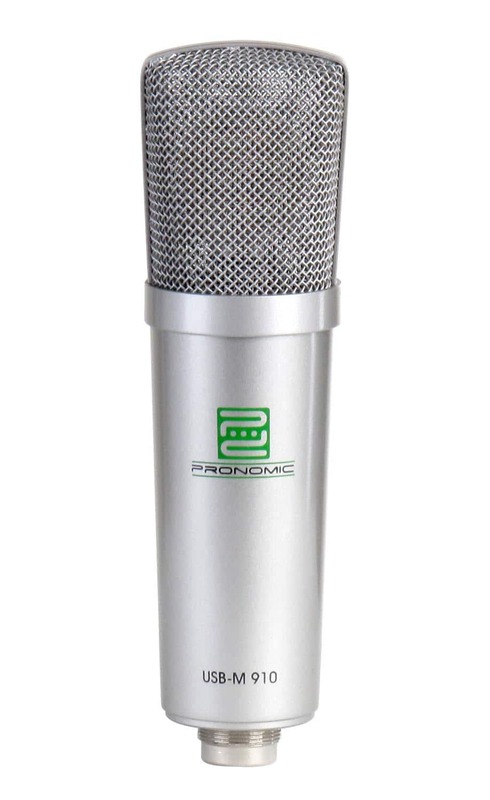 Professionalcondenser studio microphone with directional hypercardioid capsule, which is perfectly suited for outdoor shots at high noise levels. An integrated USB interface in a stable metal case - and nothing else to find your creative expression with your laptop at any given time. 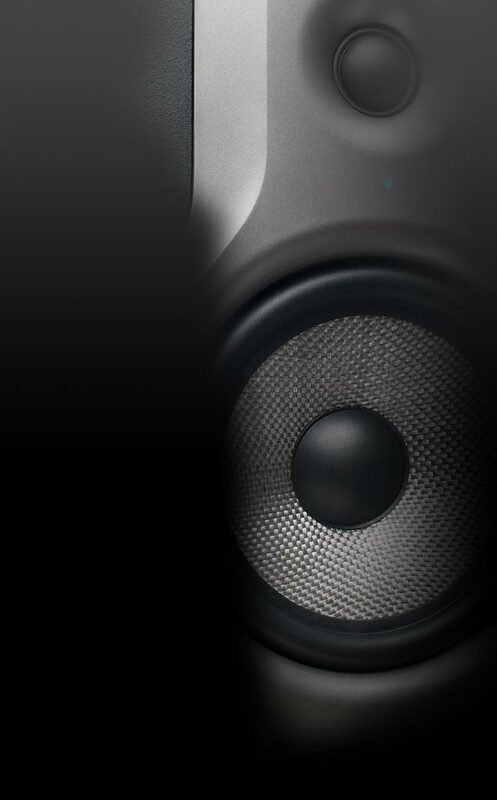 The Pronomic USB M 100 is delivered completely with aprofessional shock mountto minimize impact and background noise. In addition, there are both a 1,7 meter USB Cable to connect to your computer as well as a fancy synthetic leather bag for the secure storage of your USB-M 910 microphone. For all standard microphone stands. Double nylon screen with flexible gooseneck. 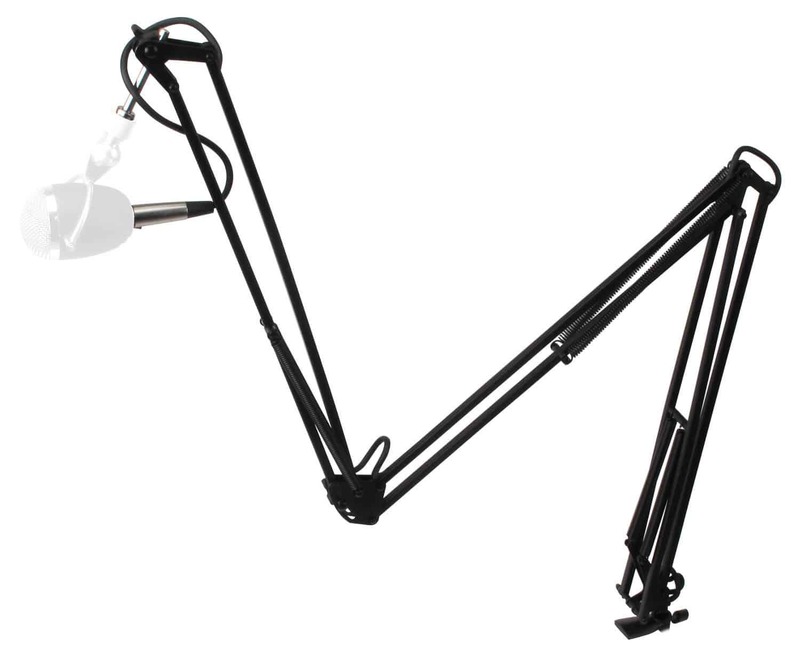 The 90° bracket ensures universal mounting with all tripods and microphone stands. Perfect wind muffling with excellent sound transmission through a double nylon fabric without distorting mirror effects. Perfect for announcements, studio or podcast! 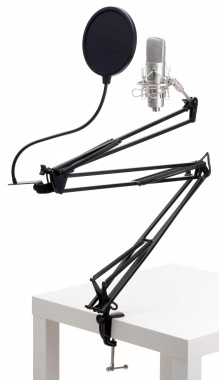 The ideal microphone arm for the radio announcer booth or multimedia workstation. 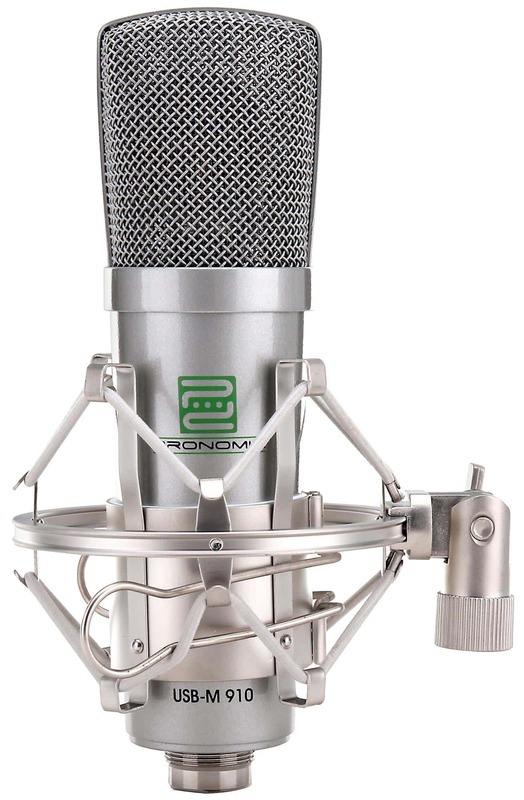 With the 6 strong spring moves the arm holds even heavy condenser microphones in the desired position. 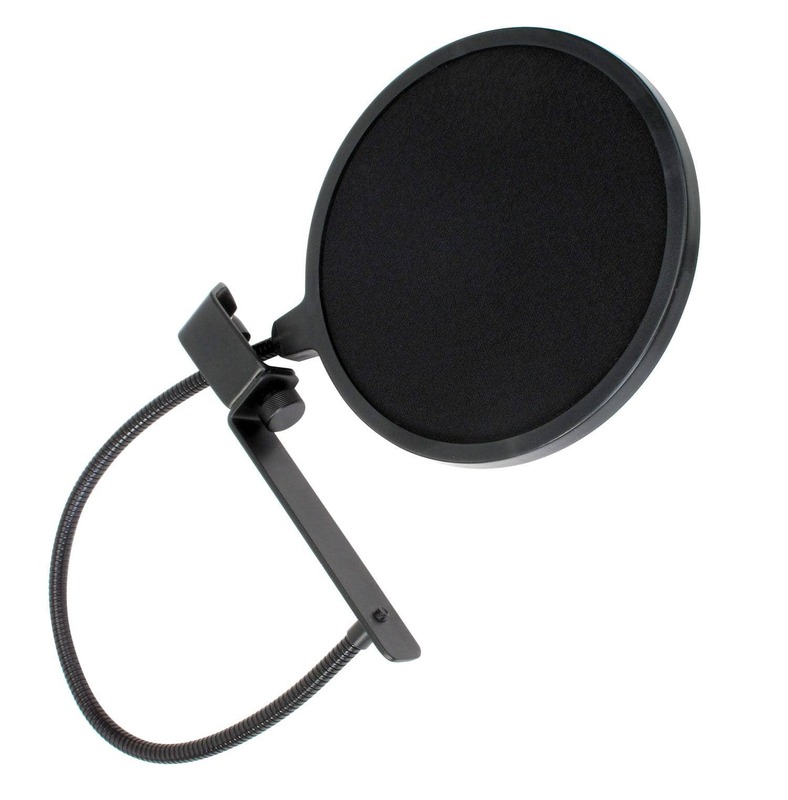 For voice recordings or for all applications where rapid and variable microphone positions are necessary.